It has been a hectic few weeks of shows (and snow!) Thank you to everyone who came to see me at Unravel, Olympia or Edinburgh Yarn Festival. If you didn't make it to Edinburgh I launched brand new NEON colours in Socks Yeah! there, they are now in the shop for everyones eye-searing sock knitting enjoyment! I commissioned the amazing Yarnistry to make me some sets of stitch markers for the show and the bundles of five skeins and stitch markers sets that were left are in the online shop here. 5 parcels, each containing 3 x 50g skeins of Coop Knits Socks Yeah! yarn and a digital PDF pattern for the yarn (to be emailed separately). 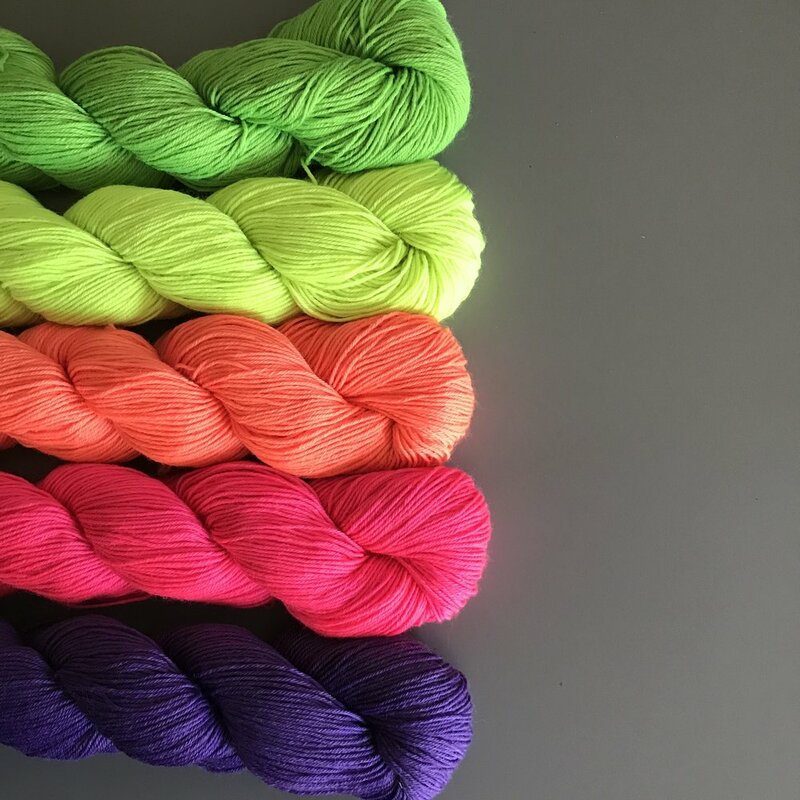 Each parcel will contain one of the new neon colours paired with one or two more muted shades, a new sock pattern will be provided each month using the colours sent out. There might even be a few surprises on the way! The patterns will be cuff down. If you would like to sign up, you can do that here. Im looking forward to a few weeks at home before Wonderwool Wales, I'm very close to finishing a collection of DK sock patterns and I'm working on Socks Yeah! volume 2 which will be published in the Autumn. Spring is in the air and I'm so ready for it!